they'd been flying around the house and one perched on the little plastic picture frame...the other keet followed to the other picture frame. 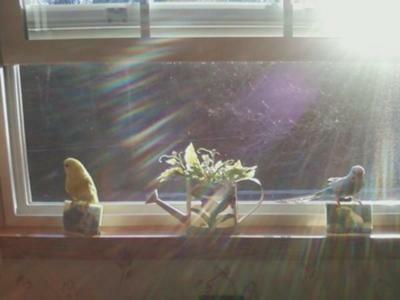 The sun came thru the crystal butterflies suction-cupped to the window. A very pretty pic, i think.